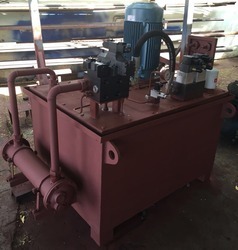 - This is a semi-automatic 5 cylinders multi purpose hydraulic machine. - In this machine, we can make areca plate, thali plates and also paper plates. 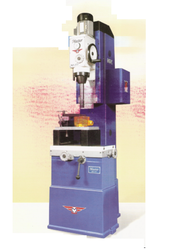 We supply a variant range of Portable Precision Cylinder Reboring Machines to our honorable clients spread across the globe. Further, we offer our clients customized solutions for this range, as per their varied needs and demands. Moreover, we use only the latest technology to design our product range. In order to keep pace with the never ending demands of customers, we are involved into offering wide range of Single Cylinder Carding Machine. Hydraulic Cylinders for Tunnel Boring Machines. We are a leader in offering best quality of Rotogravure Cylinder Machine to our clients. This machine is broadly known for its high performance, operational fluency, longer service life and optimum strength. Our professionals make use of high grade raw material and technologically advanced machinery for making the entire range. Skew Roll arrangement is also used for LPG Cylinder Cleaning. Its component are made of special alloy steels tempered and ground ensuring long wearing life. The special shape of Bit can perform rough cutting and finishing simultaneously so that no HONNING is required. The machine has one speed and feed and every cut leaves the finished surface in perfect condition. - Portable cylinder re boring bar machine Model 009H- Used for boring large bore for Railway Diesel engines (Bore Size upto 10"). Boring depth 35". Starting prices 50000, 13 lakh and 50 lakh as per client requirement.